A photograph of Vito Marcantonio during an outdoor rally in Washington D.C. This website was created in hopes of informing the public on the life and career of Vito Marcantonio, a New York congressman who was best known for his liberal thinking and his actions concerning the civil rights of Americans. Before he was a politician, Marcantonio showed a strong interest for civil rights in high school (especially regarding his own hometown community of Harlem). After giving a profound speech at a school assembly that caught Politian Fiorello LaGuardia’s attention, Vito Marcantonio formed a friendship and civil relationship with LaGuardia which further promoted encouragement in his future political endeavors. 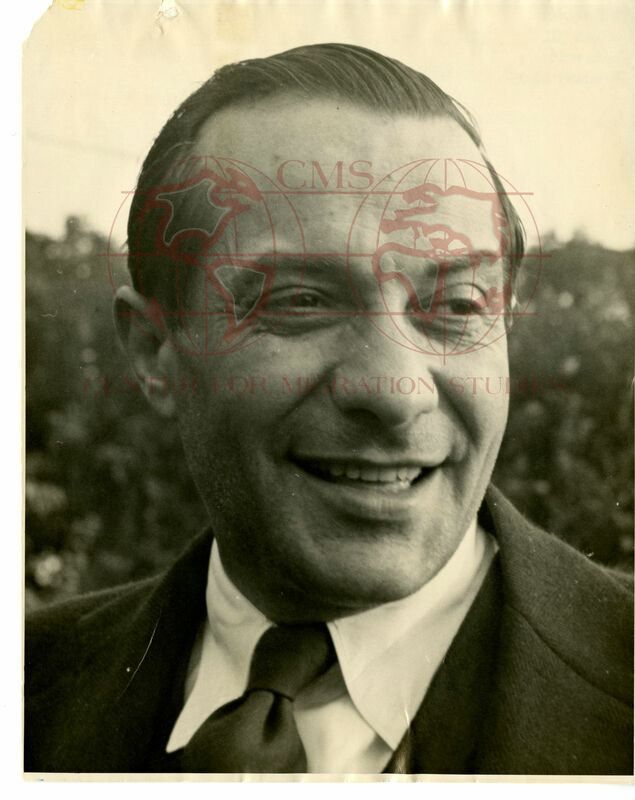 Obtained from Congressman Vito Marcantonio’s private collection at the Center for Migration studies in New York, these various photographs and documents allow viewers an intimate glimpse into the political career of Vito Marcantonio. Marcantonio was known for his political ideology and beliefs in equality and civil rights, especially regarding the Italian and Puerto Rican community in his native Harlem. Marcantonio was very active in his beliefs, even going as far to provide special services to those who were directly impacted by stereotypical connotations or simply being taken advantage of. Displayed left is a photograph of Vito “Marc” Marcantonio during an outdoor rally in Washington D.C. in 1948. This particular rally was against the Mundt-Nixon Bill, which mandated members of the U.S. Communist Party to register with the Attorney General. Unlike many politicians of the time, Vito Marcantonio protested with his fellow supporters, showing a strong sense of enthusiasm and a genuine passion for the issue at hand. Other documents in this collection further emphasize the actions and measures that Vito Marcantonio took in his political journey which seek to provide viewers with a better understanding of the congressman’s progressive thinking. This entry was posted in Center for Migration Studies (NY), Exhibits and tagged Vito Marcantonio, vito marcantonio photograph collection. Bookmark the permalink.